Posted by Rob Young in Concerts, Festivals & Tours, Latin Jazz, Modern Jazz, Music, Music News, New Music, What's New? For decades, the United States and Cuba have shared a complex relationship. While there have been many business, travel and diplomatic restrictions between the two countries, U.S. citizens have gravitated to Cuba’s tropical culture – taking in the country’s sights, sounds and cuisines. From a musical standpoint, in addition to the Buena Vista Social Club phenomenon and the enduring legacy of Los Van Van, there is a strong relationship between Afro-Cuban music and American jazz. Over the years, many of the world’s finest jazz artists have hailed from Cuba – virtuosos such as Bebo & Chucho Valdés, Gonzalo Rubalcaba, Paquito D’Rivera, Arturo Sandoval, Israel López and Machito as well as younger, rising stars such as Roberto Fonseca, Alfredo Rodriguez, Yosvany Terry and Dafnis Prieto. Posted by Rob Young in Improvised Music, Jazz Re-issues, Latin Jazz, Modern Jazz, Progressive Jazz, Smooth Jazz, Urban Jazz, What's New? 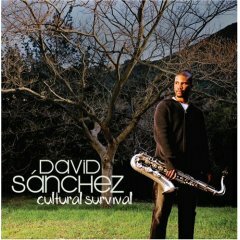 For more details, please visit Amazon.com for a complete list of jazz releases for Tuesday (6/21/2011)! Posted by Rob Young in Afro-Latin Jazz, Improvised Music, Latin Jazz, Modern Jazz, Music, New Music, What's New? All distance is relative, especially where geopolitical borders and ideologies are involved. We speak one language, they speak another. We follow our system, they follow theirs. When we focus on the differences, a relatively short stretch of land or water starts to look like a yawning chasm. But when we look at each other as individuals and focus on the similarities, that “chasm” is actually a very short distance. Less than a hundred miles. Musicians – especially jazz musicians, whose craft is in many ways an improvised form of communication – understand this principle inherently, perhaps better than any politician or diplomat could ever hope to. Vibraphonist Stefon Harris, saxophonist David Sánchez and trumpeter Christian Scott cross that divide in their new recording, Ninety Miles. Posted by Rob Young in Live Music, Modern Jazz, Videos, What's New? SFJAZZ Festival kicks off Today!! ≈ Comments Off on SFJAZZ Festival kicks off Today!! Posted by Rob Young in Improvised Music, Latin Jazz, Modern Jazz, What's New? Greetings jazz enthusiasts, mark your calendar for June 21st because new music in on the way titled The Ninety Miles Project by critically acclaimed Christian Scott, David Sanchez, and Stefon Harris collaborated with two distinctive young Cuban musicians named Rember Duharte and Harold Lopez-Nussa to record possibly one of the best and most exciting recordings of 2011 on Concord Records.